Cmantra Mantra 2 years ago. If you like this Resurrection Remix Nougat ROM for Motorola Moto Z, then consider a donation to Mennpiko, who is the developer of this ROM. Installing a custom ROM on a the Moto Z may require the bootloader to be unlocked on Moto Z and a Custom Recovery on Moto Z, which may VOID your warranty and may delete all your data. Before proceeding further you may consider backup all data on the phone. You are the only person doing changes to your phone and I cannot be held responsible for the mistakes done by you. – This TWRP recovery guide requires an unlocked bootloader on the Moto Z (griffin). Download and Copy the Nougat GApps, Resurrection Remix Nougat for Moto Z ZIP to the phone. First flash the Moto Z RR Nougat ROM ZIP from device. Reboot and Enjoy the Resurrection Remix Nougat for Moto Z. 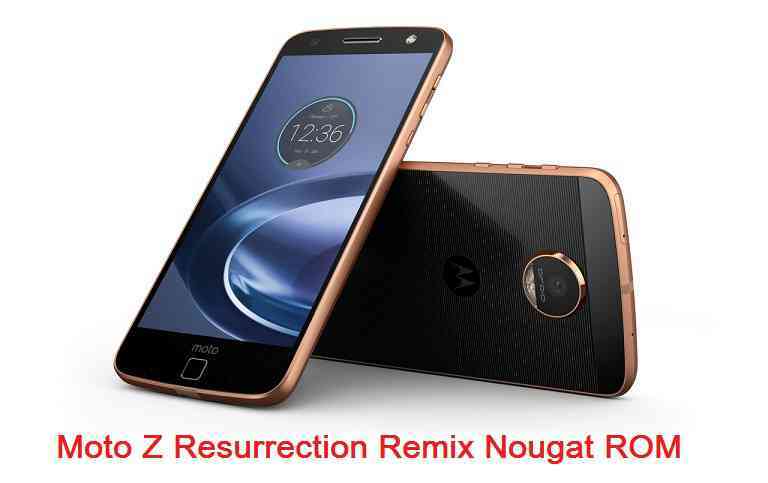 Copy the Resurrection Remix Nougat for Moto Z ROM ZIP file to your phone. Flash the latest Resurrection Remix Nougat for Moto Z from your phone. Stay tuned or Subscribe to the Moto Z (griffin) forum For other Android Nougat ROMs, CyanogenMod 14 ROMs, other ROMs and all other device specific topics. Hi there. Great work. Does the RR rom support Moto Z mods at this stage? Hi again. I have loaded the RR ROM on my XT1650-05. I do like the stock feel and the options… more so than the LOS 14.1 ROM. Its currently mot supporting MOTO MODS and I don’t have the root switch in the Developer Options. flashing SuperSU zip using recovery to enable ROOT access. I really appreciate your donation to Mennpiko, the developer of this ROM. My Apologies as I thought you were the developer. I can’t find any other threads about this ROM where I can see how it is performing for others or get visibility of the roadmap? In any case I do appreciate your feedback and follow up. You are great!